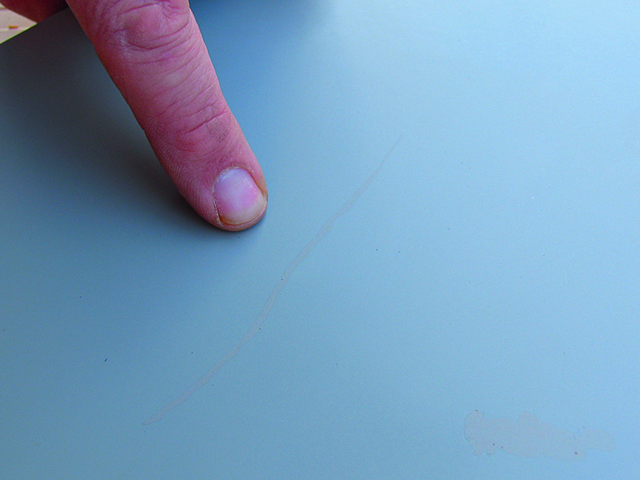 Gelcoat repair colour matching is a tricky business – and to do a professionally matched repair is complicated. However, if your boat has a pigmented hull, it is possible to get a fairly close match using clear gel coat and a bottle of pigment. Chandlers will sell a range of small pots of colour designed to replicate the most popular (unfaded) shades. 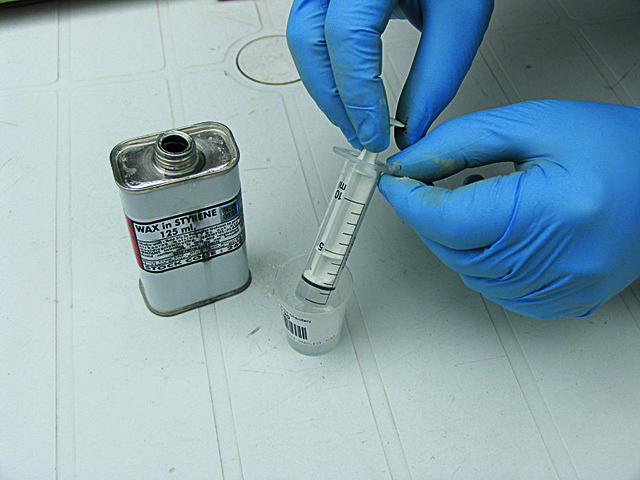 The pigment is mixed into the gel coat before the catalyst is added, so can be compared against the hull nearest the damage. For the very best results, use a polishing compound on the damaged area of the hull first, to remove oxidation and get to the true underlying colour. 1. 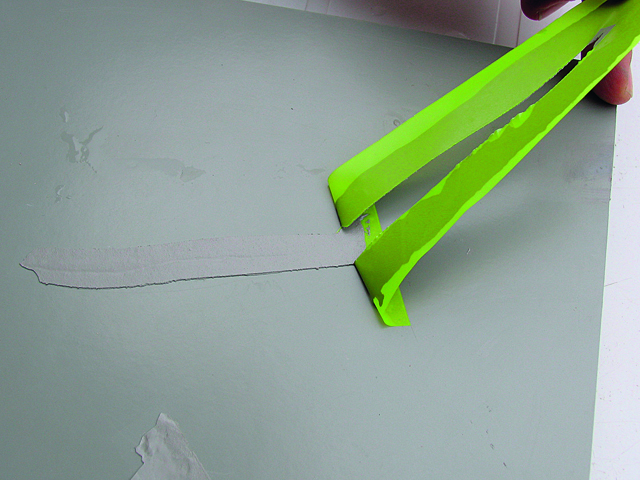 As with the previous repair, the damage is tidied with a blade, cleaned with acetone, and the area around it masked off. 3. 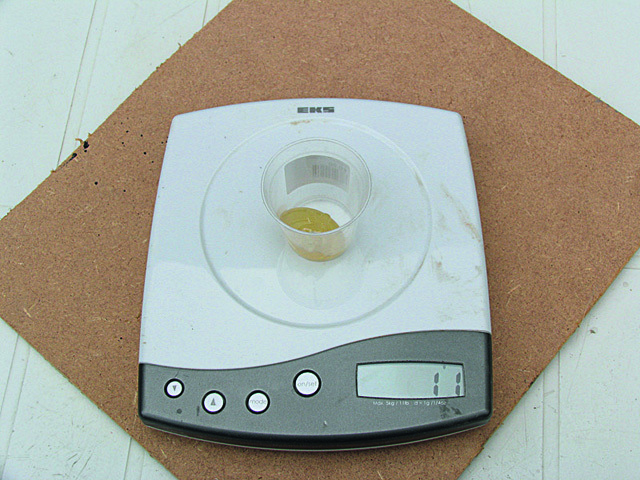 …and then placed onto some digital scales (these improve accuracy when mixing in a ratio of catalyst). If you don’t have scales you can make a ‘guesstimate’ based on volume instead. 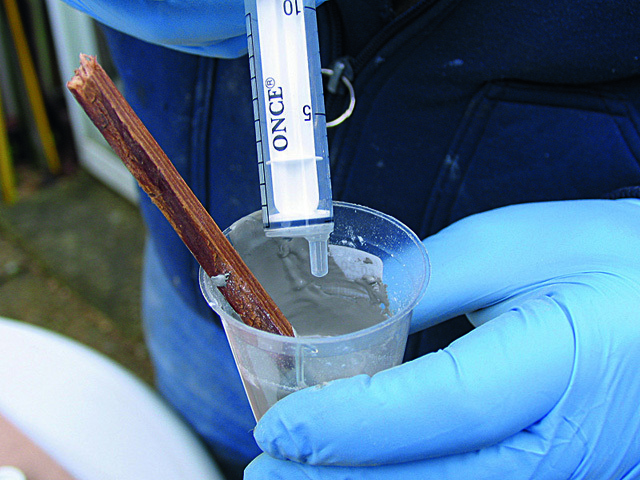 4.Using a bottle of grey pigment, which seems pretty close to our boat colour, we measure out no more than 10% by weight – or volume – using a graduated beaker. 5. 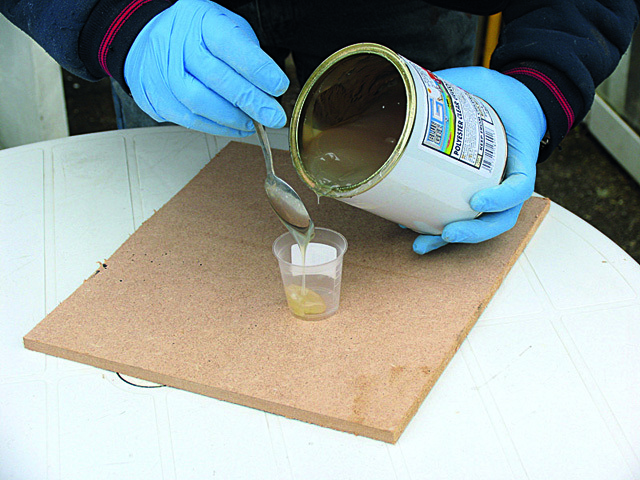 The pigment is thoroughly mixed in, and then wax-in- styrene is added to a ratio of 5%. A small syringe will be useful here. 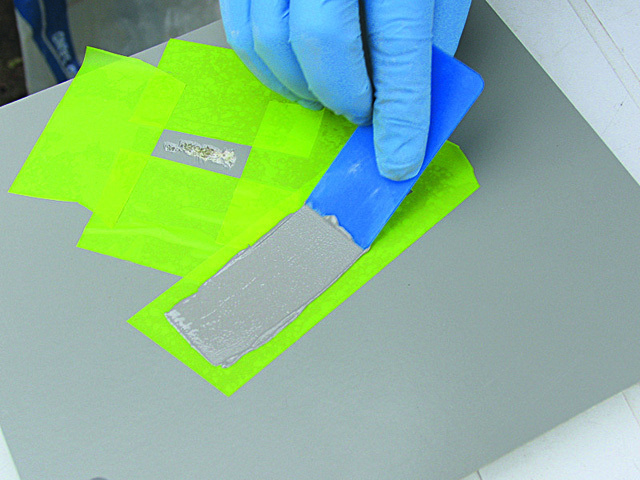 NOTE: The wax rises to the surface of the gel coat, excluding air (necessary to allow the gel coat to cure properly underneath). It is also possible to use a spray wax coating over the gel coat instead, or some repairs can even be done by taping airtight film over the top. 6. 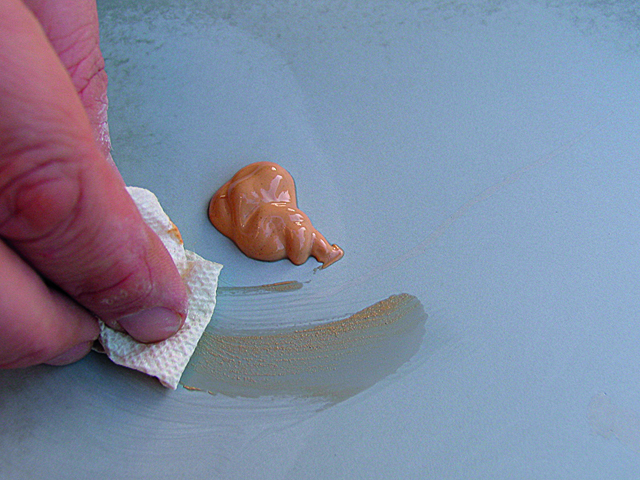 To bulk out the gel coat and stop it running out of the gouge, you can add fine silica powder. Wear a mask – the powder is carcinogenic. 7. 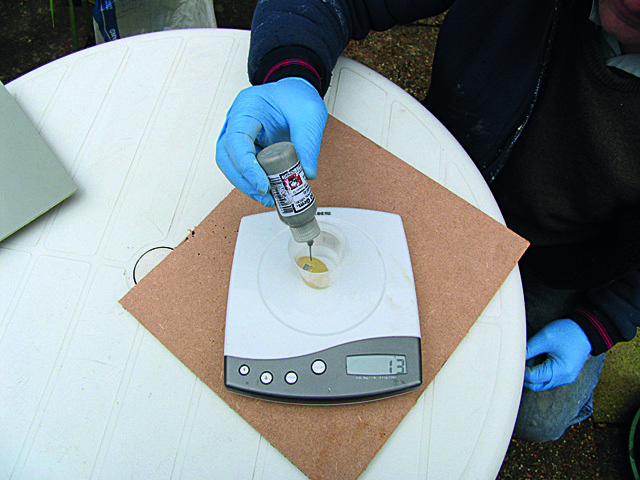 When ready to proceed, just add catalyst at a ratio of 2% and mix together thoroughly. 8. 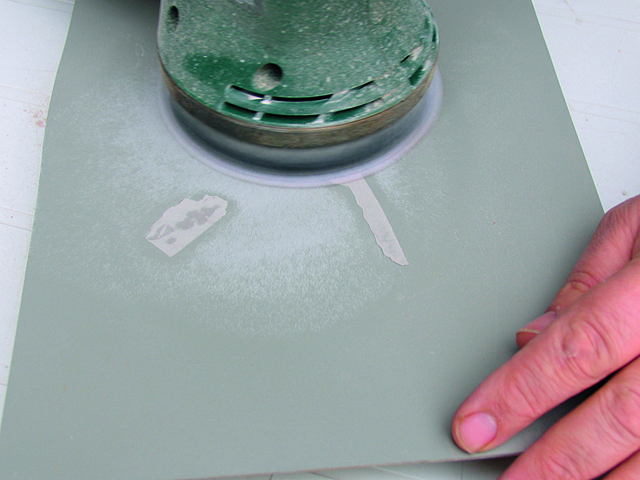 Work the paste into the hole using a plastic applicator. 10. 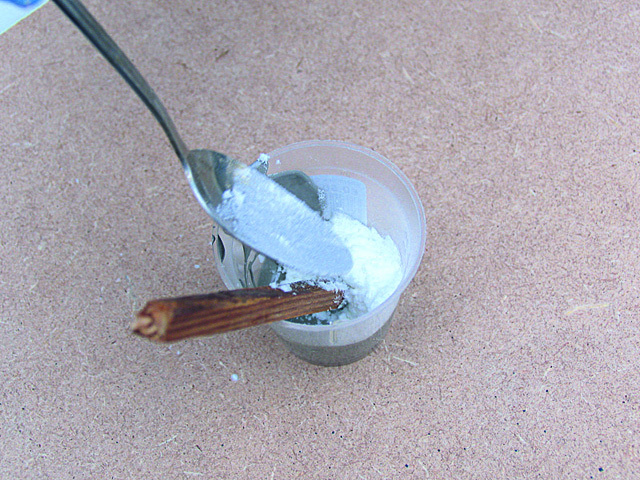 …so it can be sanded with 400-grit paper until flush with the rest of the gel coat. 12. 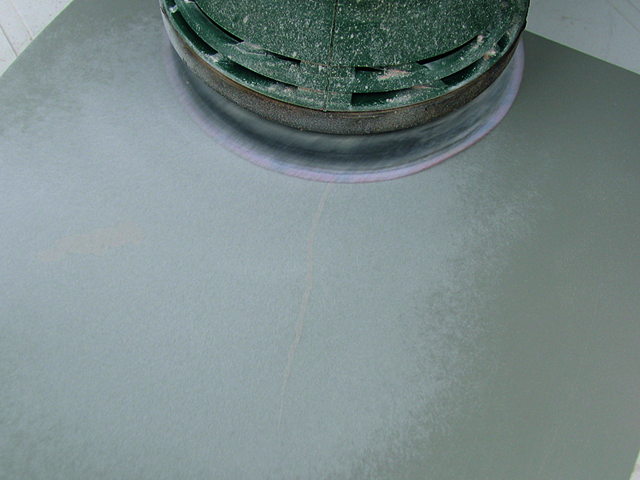 Finally, give the whole area a buff with a cutting compound/gel restorer to bring back the shine. 13. 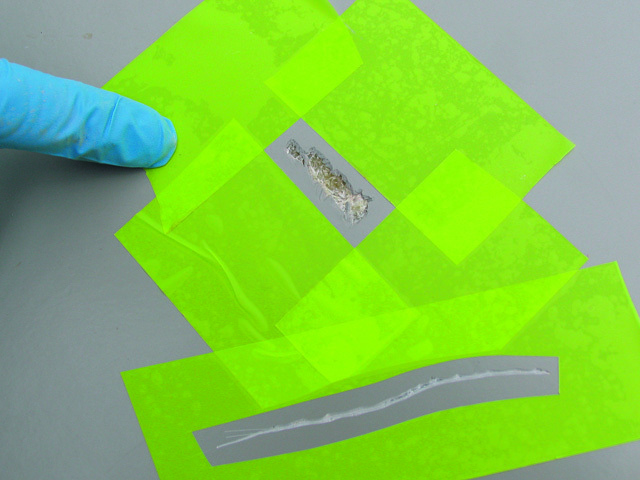 While not as perfect as a professional colour-matched repair, this scratch will be still be hard to detect from a distance.